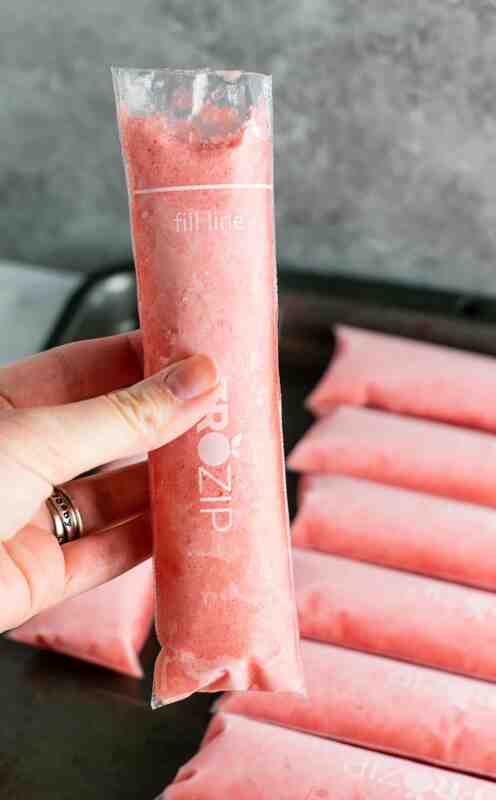 This post contains an affiliate link to the awesome popsicle bags I use for this recipe! Every Thursday and Friday, my husband and his brother go out on very long mowing days. Robbie owns a landscaping company, and those two days of the week are dedicated solely to mowing. They will mow anywhere from 35 – 40 or more yards in two days! As you can imagine, that is not only exhausting, but they have a hard time staying hydrated and full, let alone cool and protected from the sun. While trying to think of more snacks to pack them, I had the thought to try my hand at making my own popsicles. 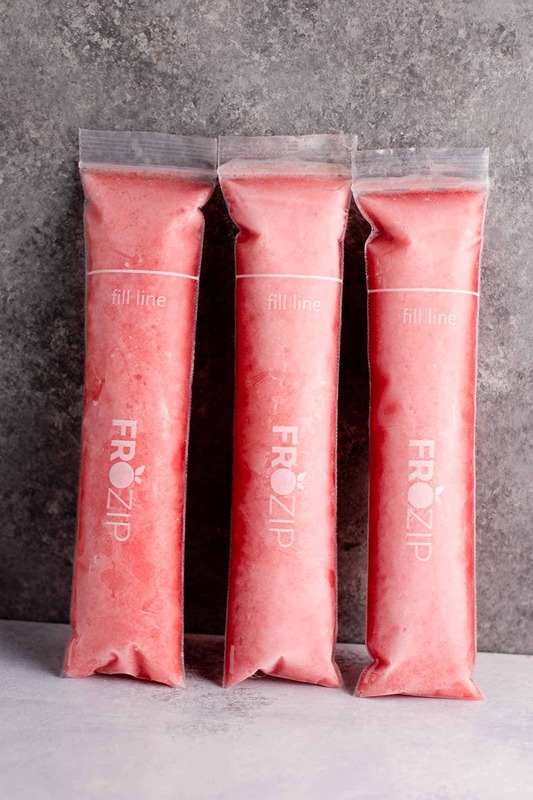 I ordered some popsicle bags from amazon, and made them for the first time last week. They LOVED them. 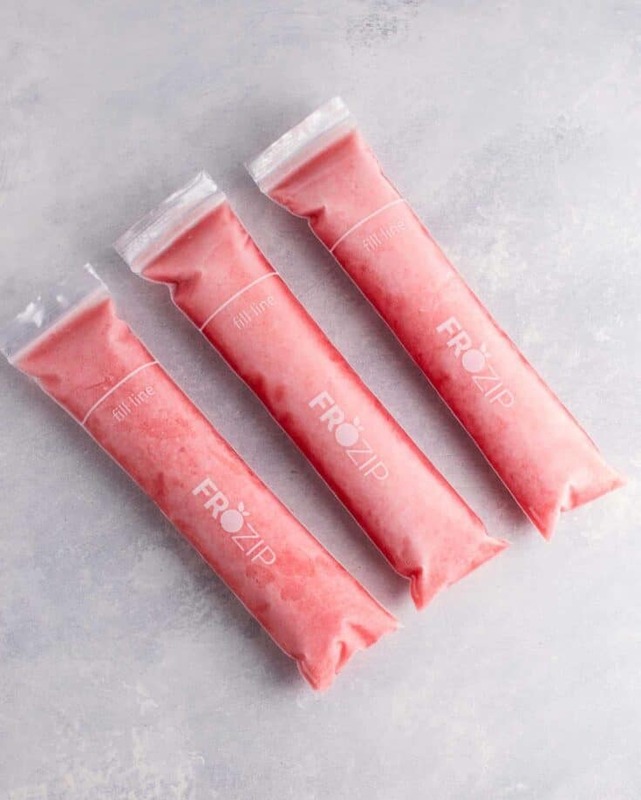 Not only are these freezer pops easy to make, but they are delicious, healthy, and so refreshing on a hot day. This is the second flavor that I have made, and I have so many more planned. 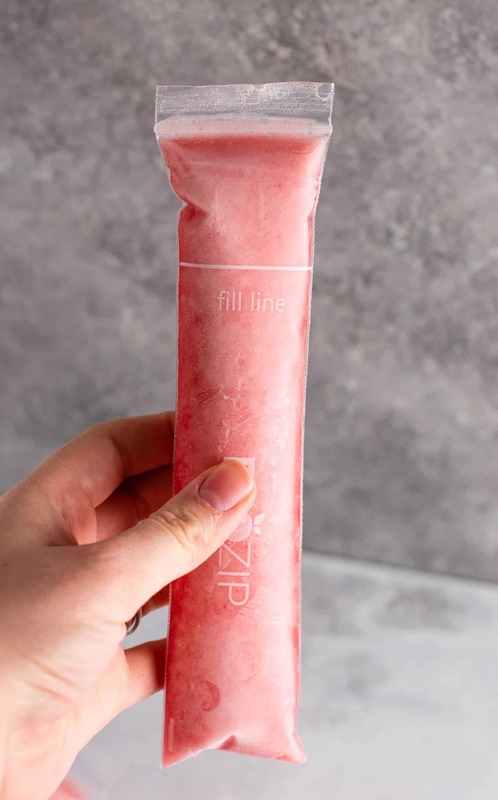 These strawberry pineapple ice pops are super tropical and fun, and definitely going to be made on repeat. 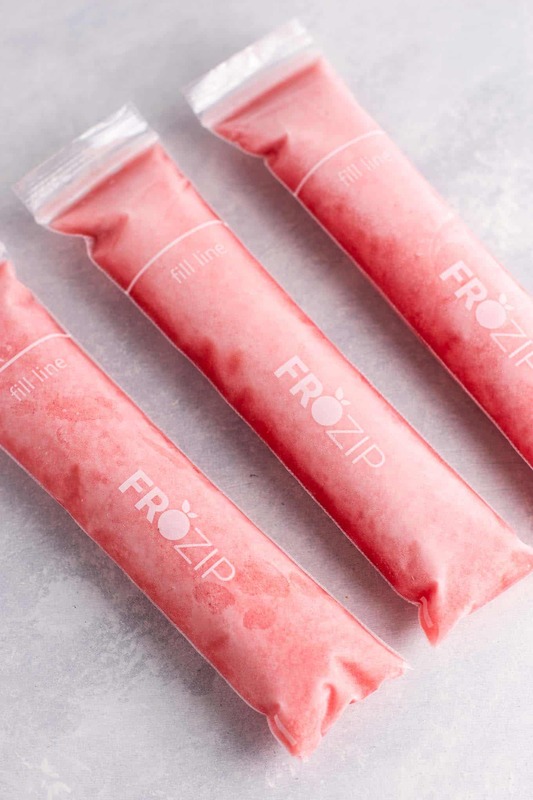 It’s hard to believe it, but all you need is frozen fruit, coconut water, and maple syrup to make homemade popsicles. I am kind of mad at myself for not making these sooner! 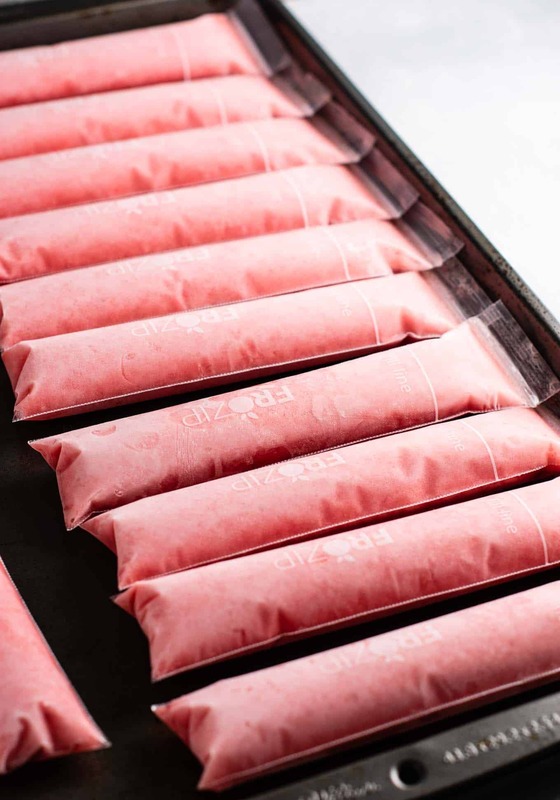 This recipe yields 15 popsicles! After reading a lot of reviews, I chose these popsicle bags on amazon. 125 bags plus the funnel for only $10! Such a great deal! They were super easy to fill up, and we just cut the tops off for easier eating. I really recommend making your own popsicles, it was so much fun! The link above is an affiliate link. If you purchase through my link, I get a small commission, at no additional cost to you. There are so many possibilities! I’ll be making these every week this summer, that much is a guarantee.